Today faster and cheaper computer processors make robots smarter and less expensive. Researchers are working to make robots move and ‘think’ more efficiently. Although most robots in use today are designed for specific tasks, the goal is to make universal which can to do anything a human can do. The definition of an industrial robot given by the Robotics Industries Association (R.I.A.) is, ‘A reprogrammable, multifunctional manipulator designed to move material parts, tools, or specialized devices through variable programmed motions for the performance of a variety of tasks’. ISO defines Robot as: ‘Robot is an automatically controlled, reprogrammable, multi-purpose machine with several reprogram able axes which is either fixed in place or mobile for use in industrial automation application’. End effector is a device or tool that’s connected to the end of a robot arm. The end effector is a part of robot arm that is designed to inter act with the environment. The exact nature of this device depends on the application of the robot. The structure of an end effector and the nature of the programming and hardware that drives it depend on the task the robot will be performing. Robotic end effectors are a device that attaches to the robot arm and enables the general purpose robot to perform a specific task. End-effectors function as robotic hands. 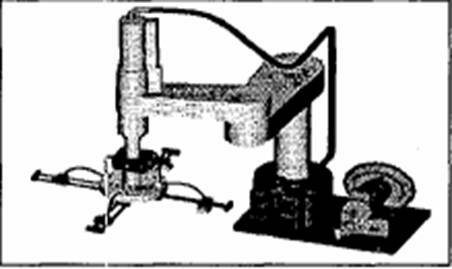 These tools are typically connected to robot flanges, such as wrists, to perform applications. Gripper design considerations are crucial in producing a functional and cost effective product for rehabilitation applications. This gripper is designed to be mounted to any robotic arm, and in particular, wheelchair mounted robotic arms that are used to enhance the manipulation capabilities of individuals with disabilities that are using power wheelchairs. Most grippers of similar objectives use two fingers for grasping, but the dexterity of these fingers limit the use of the gripper. This project attempts to provide a new design with enough dexterity to widen the range of grasping tasks that are used in the Activities of Daily Living (ADL) in an effort to improve performance and usability. This work focuses on people who have limited or no upper extremity mobility due to spinal cord injury or dysfunction, or genetic predispositions. Robotic aides used in these applications vary from advanced limb orthosis to robotic arms. 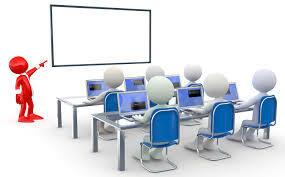 Persons that can benefit from these devices are those with severe physical disabilities, which limit their ability to grasp and manipulate objects. These devices increase self-sufficiency, and reduce dependence on caregivers. The main objective of this work is to design and fabricate a gripper that is capable of grasping various door handles and knobs, cylindrical and spherical objects, tapered and conical objects, rectangular and odd-shaped objects, sheets of paper, light switches and buttons, and other larger objects up to four inches in width that are commonly used for activities of daily living. As a criterion, the gripping force objective was set to roughly ten pounds of force. The gripper was to be mounted on the end of a robotic arm which was connected to a wheelchair. This factor limited the gripper’s size and weight, so design ideas were kept simple but effective. 3-D models of the considered designs were created using Pro/E and then later printed out to scale using a Rapid Prototype printer for design adjustments before building the actual gripper. There are many universal gripper designs available in the market today with pneumatic, hydraulic or electric actuation. The most important design consideration of grippers that are used for ADLs is the safety of the operator. Kolluru et al discussed the design of a reconfigurable gripper that consists of four fingers in a cross-bar configuration as shown in figure 2.1. A suction based gripper unit was mounted on each one of the fingers to handle limp material without causing any distortion or deformation. 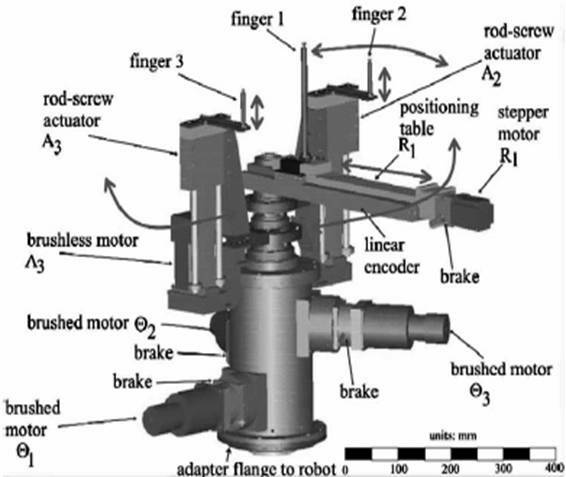 Figure 2.2 shows another design of a reconfigurable gripper that was conducted by Yeung et al utilizing a wrench system and multi-finger configuration to handle parts of different geometry with different grasping points. This design was developed for robotic arms that are used for assembly of automotive body parts. Specific considerations were taken in the attempt to optimize the functionality of the gripper. It was decided early on that the gripper would utilize parallel motion generated from a dual four bar mechanism attached to each side of the two fingers creating 8 links between the gripper surfaces and the driving mechanism itself. As a start, the gripper’s fingers (paddles) were first put into consideration. Through the required tasks expected out of the overall device the gripper’s surfaces were designed to be varied for the adequate handling and use of household objects mentioned. This work presented the design and fabrication of a new custom designed gripper to help people with disabilities perform activities of daily living. The intended work environment of this gripper is to work with the newly developed Wheelchair-Mounted Robotic Arm (WMRA) attached to a power wheelchair. Several design considerations were studied to ensure a proper design is selected for the intended use of the gripper. The paddles were designed with several contact surfaces with the handled objects to handlelarge objects, spherical objects, cylindrical or tapered objects, and delicate or small objects. The driving mechanism was designed to be efficient and independent of the arm attached to it for modularity and ease of use. Force propagation was conducted, and part selection was done based on the analysis. The control system was chosen to be compatible with the control of the WMRA system. Several tests were done on a prototype prior to the production of the final gripper to adjust the design, and these tests were conducted again with the actual gripper mounted on the WMRA system to ensure its functionality as designed.